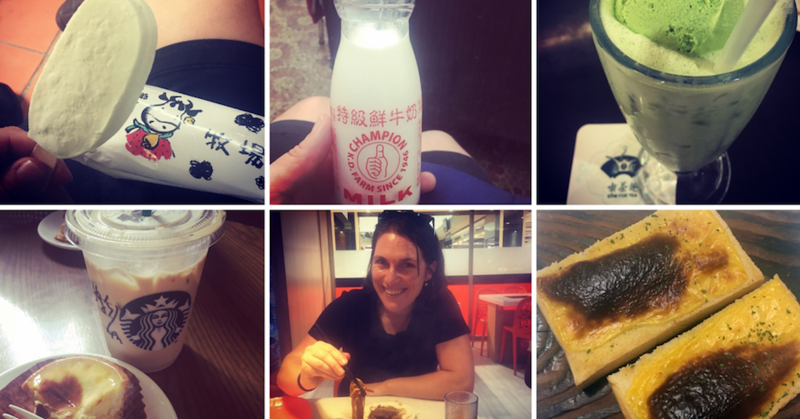 Last month I came back from another 10-day trip to Taiwan – myself and colleague Liz Bramley gave presentations to farmers and vets on milk quality and visited a few of Taiwan’s 500-odd dairy farms. With a population of ~23 million living in an area the quarter of the size of Tasmania, space is at a premium in Taiwan (we worked out that it cost about $130,000 AUD per hectare!). Because of this, dairy animals are housed and fed mixed rations, with an average milking herd size of 150. With regards to differences in milk quality between Taiwan and Australia, the dairies themselves are small herringbones, often with the original clusters and pulsators. 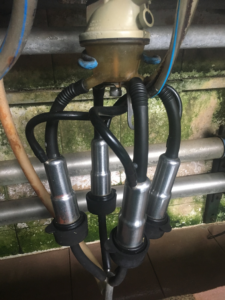 Because space limitations mean higher stocking rates and higher environmental challenge, farms pre-milking teat preparation involves washing, applying a sanitiser, drying the teats then applying cups. A lot of farms also use barrier post milking teat dips – which form a film when dry. Taiwanese milk goes to the fresh milk market, priced at $0.70-1.00 AUD per L in winter and $1–$1.40 AUD per L in summer (the hot, humid weather drives a high demand for bubble tea and iced tea drinks!). – Using herd test data to monitor long-term trends such as new infection rates and chronic infections. 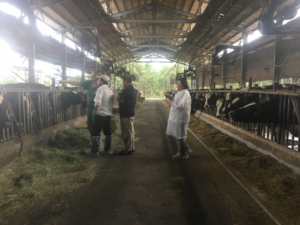 A third of Taiwan farms herd test so the dairy industry could create some good benchmarks for farmers to be able to compare themselves to. – Culturing more new infections (both clinical and subclinical) to identify the pathogens present on farm. Identifying these pathogens enables targeted prevention, and better idea about treatment and prognosis. – Teatsealing cows at drying off and teat sealing heifers prior to calving to reduce clinical mastitis at calving time. – Addressing transition diets to minimise ketosis around calving time – ketosis interferes with white blood cell function and so clinical mastitis cases will be less likely to cure. It was good to see that some ideas we have talked about previously in Taiwan – such as using the Brix refractometer for measuring colostrum quality – are popular and being used widely. Taiwanese eat nose to tail and everything in between. 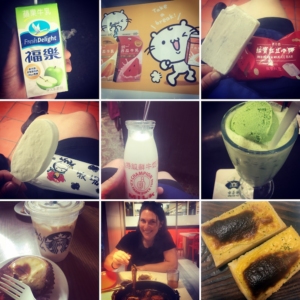 While not always as adventurous as I could have been, I did make it a mission to taste test their milk products (see attached pics) in particular trying all the ice cream flavours I could find, such as red bean, peanut, mango and green tea. One interesting observation was that there are more and more cheese-based meals on the menu – such as pizza, risotto, pasta bakes and even grilled cheese on toast. 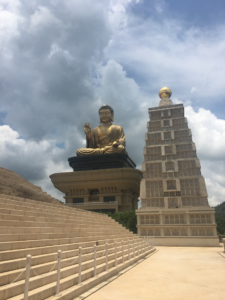 The enduring sight I have of Taiwan is rice paddies tended to by hand in the midst of high rise apartment buildings, towering Buddhist temples and delicious plates of fresh mango, pineapple and watermelon. As always, I’ve taken heaps of photos – so if you want to see or know more, feel free to ask.